The primary goal of EFT Couple Therapy is to help partners safely turn to one another in times of distress, and to work through their problems from the past and present for the rest of their relationship together, rather than turning to an individual therapist when things go wrong for years down the line in their relationship. The challenge occurs when partners do concurrent individual therapy and while also doing ongoing EFT couple therapy, and each or both partners are still turning to their individual therapists for support rather than risking, with the EFT therapist’s help, to turn to their partners. Instead, each partner may have learned to attach to their individual therapist. This means, when a couple hits a hard spot, their respective ‘go to’ for support is someone outside their relationship, not each other. This basically leaves the couple in the same place when they started EFT couple therapy and is counterproductive to the EFT process where we are working to have the couple safely attach to one another. In some instances it is recommended partners see an individual therapist during ongoing EFT couple therapy when there are substance abuse/dependence problems, also known as process addictions, that are not managed, major depression with suicidal ideation, difficulty functioning with severe anxiety and PTSD, moderate to severe dissociation, as well as delusions and hallucinations. In these instances, both the individual and couple therapists would need to communicate with one another frequently, with the client’s consent, of course, to ensure all parties are ‘on the same page’ and working towards ‘similar goals’. Beyond these exceptions, there are several other concerns one needs to be aware of when continuing individual therapy or pursing individual therapy during ongoing EFT couple therapy. There may be serious implications and complications, such as when the individual therapist and the couple therapist are working towards two opposite goals. An example of this conflict occurs is when the individual therapist believes it is in the client’s best interest to leave the marriage or the relationship. This is usually based on their inaccurate perception of the relationship, even though they have not worked with the partner and is based on one-sided information from the partner. Concurrently, the EFT couple therapist is working to deepen the relationship. This can be extremely confusing for the client and may lead to the client acting out by continuing an affair, medicating with substances or other process addictions, as a way to cope, or not being fully engaged with the EFT process. This may also harken back to an earlier time, such as when the client’s parents were arguing or disconnected and the client fell through the cracks as a kid or teen while being given confusing messages. It also makes doing the couple therapy very arduous and unproductive, causing the process to stall, if not fail. I have known some couples who started with a particular couple therapist, and then that couple therapist became an individual therapist, because one of the partners didn’t feel comfortable and the therapist began to work solely with the remaining partner on the relationship, without the other partner present. This can go on for years, ten years in one case that I am aware of. The now, individual client, may believe that they are working on the relationship without the partner present, which is not really individual therapy, it is relationship therapy, without the partner, and is ineffective. The rare exception to this dynamic working is when there is an EFT Individual Therapist (EFIT) helping from an attachment framework. Otherwise, most individual therapists hear one side of the relationship, the one with the partner complaining about their non-present partner, and arrive at negative biased conclusions that drive the marriage further apart, causing the relationship to end in separation or divorce. Now, let’s say that the withdrawing partner has left the therapy and the remaining partner then decides to work with the couple therapist, who has now become an individual therapist. It turns out, there may not be any legal implications here, but there may be some ethical contraindications, because the therapist has allowed a couple to go from the client as a relationship, to the client as an individual, which changes the therapeutic relationship between the client and the therapist. Again, this is where Emotionally Focused Therapy is different. When a couple comes to see me, or a certified EFT Therapist, their relationship is my client. If a partner decides therapy isn’t what they want, the therapy is terminated and referrals are made to individual therapists, if that is what is requested. Why? Because, should the couple decide to return to therapy with the original couples therapist at a later time, the couple is the client once again and no significant alliance that has developed between one of the partners and the therapist causing a rupture in the therapeutic alliance. As a couple therapist, it is not advisable to go from seeing a couple, to seeing one of the partners for an extended period of time. What else can happen when a couple therapist goes from individual therapy to couple therapy with the same partner? The client, who is supposed to be doing ‘individual work’ is actually doing ‘couples therapy’ without the partner present. When the therapist hears how miserable their client is as they complain and vent about their partner in the individual therapy, the individual therapist becomes supportive toward the client rather than the relationship and this can result in the therapist inadvertently persuading the client to leave the partner or block attachment to their partner. The biggest problem here, and there are many, is the therapist is getting a skewed view of the situation from the individual client who used to be seen as a couple and is not working from an attachment frame, which can negatively affect the couple therapy. This dynamic will also occur when one of the partners is seeing an individual therapist while seeing a couple therapist. Also, and this is the big one, rather than helping the partner attach to their relationship parter through EFT therapy, the partner attaches, or is attached to the individual therapist and the partner and the relationship is left on the sidelines to continue on the path of disconnection. When you inadvertently choose between connecting with your individual therapist or your partner, this is a major warning sign. This is where Emotionally Focused Therapy is more effective, because by creating a safe, compassionate environment for both partners, the couple can work through their differences by understanding their negative cycle and work towards building their bridge of safe connection and secure attachment. If an individual therapist is working with one of the partners of a couple who is in ongoing couple therapy, it is so important that all parties not collude with the individual client against the relationship or other partner by creating ‘secrets’ or biases. One way to ensure all parties are on this same page is for the couple to sign a ‘release of information form’ and to sign a ‘no secrets agreement’ in order for the therapists to communicate with the individual therapist to further the relationship and all be on the same page. If however, access to the individual therapist by the couple therapist for one or both partners is not possible during ongoing couple therapy, the couple therapy may need to be terminated or delayed until all therapists are on the same page and or the individual client has worked to detached from their individual therapist in order to safely attaching to their partner, which is the primary goal of EFT. Awhile back, you discussed couple therapy with your partner, but for whatever reason, it didn’t happen then. Turns out most couples come to therapy a good 6 years later then when it would have been ideal to start. But, because the negative cycles between you were so bad, you couldn’t even decide on someone together, and now ‘it is crunch time’. No pressure here, but it is important to know how divorce can affect your relationship and your future compared to effective, and by that I am referring to, Emotionally Focused Therapy for couples as one of the best, and well researched, couple therapy currently. Nancy Michaels has written an eye-opening article entitled ‘Divorce = $1000,000 Love is Grand, but When It’s Gone, Divorce Can Cost More Than Twenty Grand’, In this article Nancy paints the picture for the average couple regarding the average costs of divorce, depending on your situation. Splitting property, investments and income. Retirement accounts will need to be separated, which will likely incur fees. After divorce, you will probably need to obtain two separate medical benefits packages. child custody and visitation, as well as babysitting, may have financial implications. Legal fees can become a major factor in divorce. 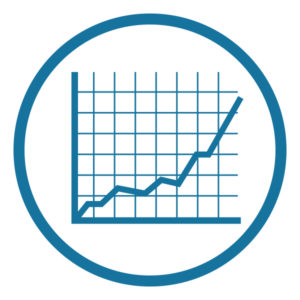 Legal fees can range in the tens of thousands or more. Compared to extensive EFT couple therapy with a certified EFT therapist, which can cost as little as a few thousand dollars. The same income you and your spouse receive now will need to support two separate households – making it unlikely that you and your spouse will be able to continue on in the level you have been accustomed to. Disagreements, complicated settlements and/or complicated custody decisions can cause legal fees to be become exorbitant. At times, one person, either by intention or obstinacy or even misunderstanding, can drive up the legal expenses for both partners considerably. You do the math, because at the end of the day there is no comparison. Besides, returning to a loving, healed relationship with your partner and creating a space for your child or children to witness parents who can work through struggles and stay connected is worth it on so many levels. * EFT is designed to be completed in 15 to 22 weekly sessions. (1) Trauma, substance issues, prior DV and infidelity may delay progress, but can still be effective. Distressed – A couple is said to be “distressed” if their scores on measures of relationship satisfaction place them at major risk for separation or divorce, based on long-term studies of other couples. Distressed couples have historically been the hardest for therapists to treat successfully; Emotionally Focused Therapy seems to work quite well. Improved – A couple completing treatment is considered “improved” if their scores on relationship satisfaction measures have increased beyond what could be expected by chance. “Improved” is one way of saying a couple’s relationship has gotten better. Recovered – A couple completing treatment is said to have “recovered” only if all of the following are true: They entered therapy as a “distressed” couple; they made significant and reliable improvement through the course of therapy; and at the end of therapy, they no longer qualify as “distressed” on measures of relationship satisfaction. In the practice of EFT attachment injuries (infidelity, perceived abandonment and or rejection, betrayals, constant criticism, etc.) often block the progress in couple’s therapy. In moments where there is a high need for connection with one’s partner, these attachment injuries block connection and trigger panic and insecurity instead. Studies conducted on the outlined steps for forgiving attachment injuries (2006) used in a brief EFT intervention show: 63% of the couples were able to forgive the injury and complete the therapy events that predict success in EFT: these results were found to be stable in a follow-up study (2010). Less effective results were reported in couples who: had multiple attachment injuries: had lower levels of initial trust: reported the intervention was too brief. Finally, EFT research indicates that a couple’s engagement in the therapy sessions is more significant as a predictor of treatment success than their level of distress at the time they initiated therapy (1996). Note: These are in order of their appearance above. 1. Byrne, M., Carr, A., & Clark, M. (2004). The efficacy of behavioral couples therapy and emotionally focused therapy for couple distress. Contemporary Family Therapy, 26(4), 361-387. 2. Cloutier, P. F., Manion, I. G. Walker, J. G., & Johnson, S. M. (2002). Emotionally focused interventions for couples with chronically ill children: A two year follow-up. Journal of Marital and Family Therapy, 28(4), 391-398. 3. Johnson, S. M. (2002). Marital problems. In Sprenkle, D. H. (Ed. ), Effectiveness research in marriage and family therapy. Washington, DC: AAMFT. You can learn about your own attachment style. Empirically validated: It’s one of the few approaches to couple therapy shown by research to be effective – even with highly distressed couples. An impressive 90% of couples experienced at least some improvement in their relationship. Based on John Bowlby’s Attachment Theory: As applied to adult love relationships, it recognizes the ongoing need we all have for reliable attachment figures in our intimate relationships and assumes that a secure attachment with our partner provides the solid base that helps us manage emotional distress. An experiential approach: Couples change by identifying and expressing their ongoing need for strong, accessible, responsive emotional connections. Emotions are the focus because they are compelling and instructive; they tell us what’s important to us. Growth oriented: The focus is on individual and couple strengths and recognizes that human beings have an inherent drive towards growth and healthy relationships. Collaborative: A strong alliance – where couples are the experts on their own experience and can express this in therapy – is key. The therapist’s role is that of process consultant, helping partners connect their own internal experience with their couple interactions. Focused on the present: While history often plays an important role in shaping our ways of relating, it is the emotionally driven interactions in the here and now that are the focus of therapy. Emotionally engaging: The active, evocative approach is especially effective at drawing out men, who often have more difficulty accessing and expressing their emotions. Clear and concise: Susan Johnson, the principal developer of EFT for couples, has clearly elaborated a therapy model that relies on attachment theory as the basis for understanding adult love relationships, including the nature of conflict and the change process in couple therapy. -Dr. Sue Johnson, Professor of Clinical Psychology, University of Ottawa; Director of Ottawa Couple and Family Institute and International Centre for Excellence in Emotionally Focused Therapy (www.iceeft.com); Research Professor, Alliant University (www.alliant.edu). -Alan S. Gurman, Ph.D., Emeritus Professor of Psychiatry and Director of Family Therapy Training, University of Wisconsin Medical School, and a leading authority on the clinical practice of couple therapy. -Jay Lebow, Ph.D., LMFT, ABPP, Past President, Division of Family Psychology, American Psychological Association (www.apa.org); Research Consultant, The Family Institute, Northwestern University (www.family-institute.org). For more information about EFT, EFT training and EFT research, read Hold Me Tight: Seven Conversations for a Lifetime of Love, by Dr. Sue Johnson and go to www.iceeft.com, www.emotionallyfocusedtherapy.us, and www.holdmetight.com. How EFT can save your relationship and the steps we can take to do it. Dr. Susan Johnson helps us understand how Emotionally Focused Therapy can SAVE your relationship and give us the EFT steps to help us do it. Don’t miss this great article. It isn’t a secret anymore because Harvard researchers have studied men for over 75 years in a longitudinal research study to determine what creates healthy, happy lives. Turns out it is healthy, happy relationships. This really speaks to the need for effective EFT couples therapy if you relationship is in distress. Revolutionary film footage of a couple in distress and the affect of the ‘still face experiment’ on a partner compared to an infants lack of response from a mother. The classic still face experiment was initially done with a mother and their infant to show attachment reactions, but this video goes a step further to show how powerful disrupted attachment is on the partners. A must see. 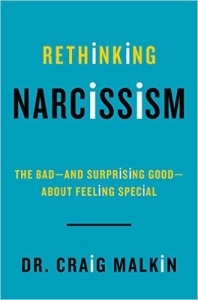 In ‘Rethinking Narcissism,’ Dr. Malkin presents narcissism on a spectrum, too much is problematic and too little, it turns out, is a problem as well. Like most things in life there is a balance. But what really stands out here is that old thinking that once a narcissist always a narcissist, just doesn’t hold up anymore. Narcissism isn’t created in a vacuum and for many folks dealing with this issue, change is possible. Especially with empathy and helping them and their partner understand the consequences of their behavior. By the way, when taking the narcissism test, don’t attempt to take it for your partner, mother etc., this needs to be more further evaluated by a mental health practitioner. I have had couples who have been told by their former therapists that their partner is a narcissist and therefore is not treatable. I often wonder, if the therapist is burned out and feeling helpless in such situations, rather than working to help those with narcissistic traits feel heard and understood. How Can I Forgive You? The Courage to Forgive the Freedom not to. How long does EFT Couples Therapy last? While there is no exact answer to this question, the research shows that Emotionally Focused Therapy (EFT) has been demonstrated to help couples without histories of trauma, affairs, addictions, and aggression in as little as 15-22 sessions. This means that if you or your partner have a history of trauma, affairs, addictions, aggression (but not physical abuse), EFT may last longer than 15-22 sessions due to the relationship attachment injuries. It is important to note that outcome research for couples struggling with infidelity who seek EFT have reached higher levels of success than other forms of couple therapy, upwards of 70 to 90%. Combined with a caring, compassionate EFT therapist, the relationship can even become more connected than before. 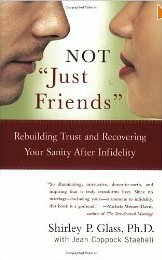 As an Emotionally Focused Therapist who works with couples in distress, I have been recommending this book as an adjunct to the couples work since it’s arrival. I do this in order to reinforce the processes that occur during our emotionally focused therapy sessions. Couples who do utilize this book during our work together, consistently move more quickly through the process and feel more empowered between sessions. Not long ago, one of my clients queried me asking ‘Have you and your husband used the workbook?’ Realizing we hadn’t, we began working together on it Sunday afternoons using the working book during late lunches. It deepened my, and our, process in our relationship and helps me identify where my couples are in the workbook. The only recommendation or change I would make regarding this book is to call it something other than a ‘workbook’ such as ‘Bonding Resource’ because that is what it feels like. ‘Workbook’ doesn’t sound connective, and this book is. When we struggle in our relationships and in our lives, sleep can be one of the first things to go, which adds to further distress. If this is the case for you, and your mind and body cannot seem to wind down, click on the icon of the lighthouse you will see various areas were you can be helped to relax your mind and body before sleep. Even if you wake up at 2:00 or 3:00 AM, putting the earbuds and and drifting away can help you go back to sleep. 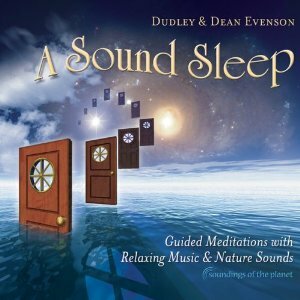 Guided imagery to help you sleep when life is too much and you cannot turn your brain off. The A.C.E. test (Adverse Childhood Experiences), has gained much attention from researchers, therapists and doctors alike. It is a profound research study involving over 17,000 medical patients who have experienced trauma in childhood, and the effects of that trauma on the body as they age. The outcome research finds that as the traumatized participants age, their bodies experience chronic illness and in some cases, a shorter life span. The events in the A.C.E. test all involve disrupted attachment with a signifiant caregiver in childhood. Dr. Nadine Burke Harris recently posted a video of the A.C.E where she explains that the repeated stress of abuse, neglect and parents struggling with mental health or substance abuse issues has real, tangible effects on the development of the brain. This unfolds across a lifetime, to the point where those who have experienced high levels of trauma are at triple the risk for heart disease and lung cancer. An impassioned plea for pediatric medicine to confront the prevention and treatment of trauma, head-on. 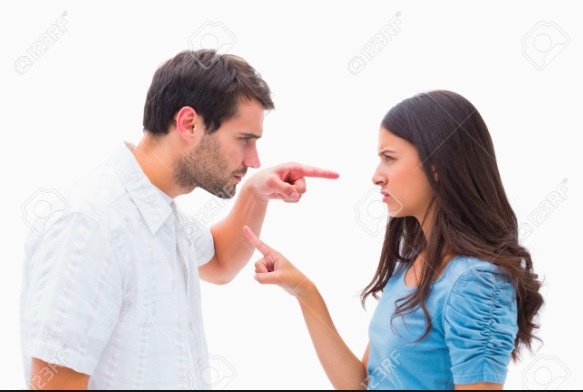 When adult couples argue, they set off a cascade of chemicals in their brains and bodies that literally hijacks the body, as noted in this article entitled ‘What happens to your body when you are fighting with your significant other’. If we combine the science of abuse on the body in childhood, with the toxic effects of arguing as adults, we are activating those same pathways once again, which can cause illness in our bodies by being disconnected from our partner. Many times children witness the arguments and are caught in their own struggle as noted in this video of a child trying to help her parents understand what the arguing does to her and to them. When abusive events occur in childhood as a result of our parental caregivers not providing the safety and security we need, physical illness in the body manifests, as noted previously. This is also related to the overused parasympathetic nervous system which is typically designed to help calm the brain and body down when it becomes activated by a stressor, but because the sense of safety is not perceived to be there, causing it to become activated, again and again. As adults, when we become activated by a stressor, such as our partner arguing with us or shutting us out, our parasympathetic nervous system tries calming the body down and struggles to do this, resulting in sense of panic and debilitating overwhelm. Overtime, our bodies and brains become compromised resulting in physical and mental illness. There is hope, and it comes in the form of Emotionally Focused Therapy (EFT) for individuals, couples and families. A study called the Hand Holding Experimentshows us how couples who were connected through EFT therapy, were able to be soothed by their partner when faced with a stressor, unlike the partners who weren’t connected. It is as if a loving other replaces a burned out parasympathetic nervous system that struggles to sooth the body, and now the gesture of support calms the body down. EFT is a game and brain changer, as noted by this article entitled ‘Deepening Dependance‘. In this article, the research and outcome studies show the power of adult connection through healing trauma with secure attachment. Remember how years ago, dependence was poo pooed and we were supposed to show our independence from others by becoming strong and independent? Turns out that can be toxic to the body, especially when there has been early trauma. When couples can work through their difficulties together and find ways to be there for each other by connecting more deeply, it changes the way the body responds and heals. This then circumvents the brain from signaling a continuous flow of stress chemicals to the body, which leads to physical illness. Deep, love heals. Cliche – yes, powerful – definitely. After helping many couples where there has been infidelity, one of the sure fire ways facilitate the early process of reconnection, is for the partner who had the affair to no longer be involved in anyway with the person they cheated with. I realize that sounds logical, but sadly, after many hours of therapy, time, energy and money, some partners continue their outside relationships, expecting things to change inside the marriage. This is not possible and is actually highly destructive. What is happening here is that the person who became involved with someone else hasn’t unplugged from the affair partner, so plugging into their spouse or significant other doesn’t happen or is seriously impaired. Those who cheated may feel justified in the affair because of hurts sustained throughout the relationship. Therefore they believe they shouldn’t have to change their behavior, so they continue with the outside relationship, expecting their partner to make changes before they even consider giving their significant other a chance. Sadly, this spells disaster for the primary relationship and unfortunately it means very little success for the couple in couples therapy. It can be very difficult to let go when we fall for someone outside our primary relationship, and may result in a period of grief and loss while letting go. Not letting go creates more agony for the significant other to be hurt again and again and again and may manifest in anger and frustration, causing the partner who left the relationship to be reluctant to reengage because of their partner’s anger. This becomes a negative cycle associated with infidelity and can be worked through with EFT for couples therapy, unless the outside partner is still in the picture. By maintaining the outside relationship and never giving the partner a chance when the partner really wants it to work and is making changes, this can be very painful for everyone and will ultimately doom the primary relationship. When working on your relationship involving an affair, you can process the letting go of the outside relationship with the therapist and even the partner in therapy. Sharing what was lost for the one partner and processing the wounds of the violation with the one that cheated, creates openness and transparency. Without the outside relationship the couple can heal and build a deeper level of connection and safety. Click here for this beautiful presentation by Dr. Silvina Irwin, depicts the trials and struggles of a couple caught in the dance of pain involving an affair. Very moving, with depth and heart as presented by a skilled EFT clinician. James Thomas, MFT and EFT Practitioner, shares his wisdom and insights on the radio show ‘Love Pong’, a Conscious Caring segment about how very different Emotionally Focused Therapy for couples is compared to other couple therapies. James does such a beautiful job enlightening the interviewer and helping him understand the importance of vulnerability, that he even has the interviewer tearing up. How much do we ‘think’ we are connecting with people via technology? Turns out it may leave us feeling as though something may be lost because we aren’t paying attention to what matters. Look up and see for yourself. 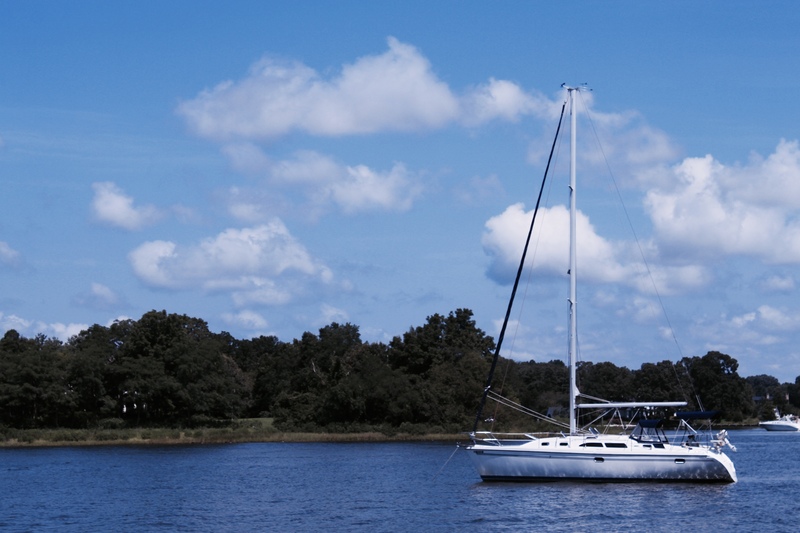 What is the difference between Neediness and sharing your Needs? So the topic of expressing needs vs. being needy came up recently and I thought this was such an important issue that ‘needs’ to be more fully explored and understood. It is not easy letting your partner know your needs, especially when there have been very negative interactional cycles hijacking your relationship and not allowing for safety. We may fear being seen as ‘weak’ or ‘needy’ when it comes to letting our loved one know our needs, so we march on and believe in some way they should just know what we need and not have to tell them. Then again, this could fuel the negative pattern we are caught in because if they don’t know our needs, they won’t be able to be there. All too often we then end up feeling crushed because they aren’t there for us so we respond coldly or angrily, leaving them to wonder what has made us upset now, and further fueling the negative cycle. Please be advised, asking to have our needs met works best when we are not caught in negative cycles with our partners. This is the first Stage of EFT, and sometimes the longest part and most challenging part of helping couples gradually reconnect. Staying out of negative cycles is not easy, but better yet, understanding them and helping each other understand and guide each other out of them, is what it is all about. To learn more about negative cycles, please go to the menu bar for ‘Couples Therapy’. Securely attached individuals ask in a healthy way for their needs to be met in times of need, and expect them to be. This is not easy for those working toward earned secure attachment and still stuck in cycles. This may lead to questions such as: Are my needs legitimate? Can you really be there for me or will you let me down again? Will I get stung or rejected, or will you only sometimes meet my needs if I ask for them to be met? Will you outright neglect my needs? All of this is vulnerable and scary as it is unknown territory because we are taking a big risk putting ourselves out there and potentially being hurt, especially if we have been hurt in the past. Oh and by the way, understanding attachment, the cornerstone of connection, can help us comprehend why sharing our needs and having them responded to is so important. Attachment, which starts out in infancy (please type ‘Attachment’ in the search bar of my website to learn more about this very important process) indicates that we are hard-wired to connect and that we are more likely to evolve and be fully ourselves when we experience the love and belonging of another. When our significant other isn’t there, or has let us down, it makes sense that we worry they won’t be there for us again in the future. However, once the negative patterns slow down between the two of you, it can become safer to request your needs in a healthy manner and have them be heard. That is, neither hinting sarcastically or overtly demanding, but being able to withstand a loving choice by our partner to not meet the need, is important for us to learn and experience as well. Even if you are in ongoing marriage counseling or couples therapy or just want to know about very important issues that plague all relationships, read on and watch this video presentation from Dr. Susan Johnson, the primary developer of Emotionally Focused Therapy. Her wisdom on cheating and what it represents(minute 4:50 ) for both partners and how to heal it is very interesting. Also, don’t miss what it means when a partner verbally abuses the other and what is under the anger and biting comments (minute 3:00). You know how everyone tells you you need to have a close connected relationship with your parent or parents in order to have a good relationship with your partner, there is more to that that as well which may surprise you. (minute 8:19). That is not all Dr. Johnson shares with humor and expertise, so sit back watch with your loved one and become more connected. Oh by the way, once there at the ‘Revitalize’ conference site put on by ‘Mind Body Green’, there is so much else offered about health and healing your won’t want to miss, and it is all accessible to you just by going to the top of the site where Sue gave her presentation here. So check it out especially if you have been feeling sick or exhausted and cannot seem to explain what is happening. There is a ‘love revolution’ happening through Emotionally Focused Therapy along with a ‘health and food revolution’ and Mind Body Green is helping us get it in so many ways. Just the way we need to make changes in our relationship, we need to make changes in what we eat and how we treat our bodies. It is all connected! Many of us know about the 12 Step Approach using ‘HALT’ to slow us down, but now it is being effectively applied to relationships with our loved ones, as Psychologist Carol Vogt notes in her article here. Basically, the concept is designed to help each other in the event you or your partner or child ever becomes H-hungry, A-angry, L-lonely or T-tired because it is during these times, that we are not at our best and we are more likely to exacerbate a negative cycles we may be caught in, or to create a negative cycle, and thereby create disconnection. So, I realized there are a few more that are worth noting to add to the HALT concept. You may want to say ‘HALT’ and send out an ‘SOS’ to your partner when you become S-sick, O-overwhelmed and S-stressed because those are times when negative cycles can really ramp up as well. Try to help each other by saying SOS and HALT when you find yourself in a rough place and you can spare your relationship from having cycle flare ups together. The linked article above can help you learn more and thereby help each other stay better connected. If you aren’t sure what I am referring to when I mention the word ‘cycle’ as it relates to your relationship, you can learn more about couples negative interaction cycles in Sue Johnson’t book ‘Hold Me Tight’ under ‘Demond Dialogues’ listed on my ‘Recommended Reading’ page under the menu ‘Couples Therapy’ of this website. Or contact me for couples therapy/marriage counsel to start the process of taming those negative interactional cycles with me and EFT. Looking in to the eyes of those that matter most can really change the way we relate to them and they related to us. Eye contact makes all the difference in the connection you have with the ones you love.